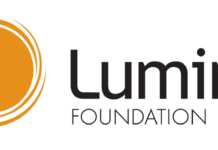 Home Builders Institute is using the power of its partnership with The Home Depot Foundation to address a shortage of trades workers. 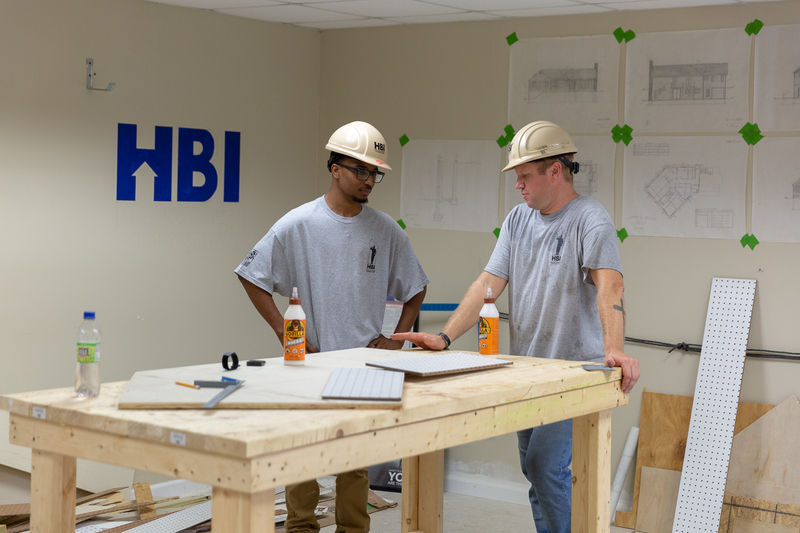 HBI is breaking new ground in workforce development by training servicemen and women for civilian construction careers. Before he enlisted in the U.S. Army, Staff Sgt. John Pomelow’s dream was to one day build his own home. 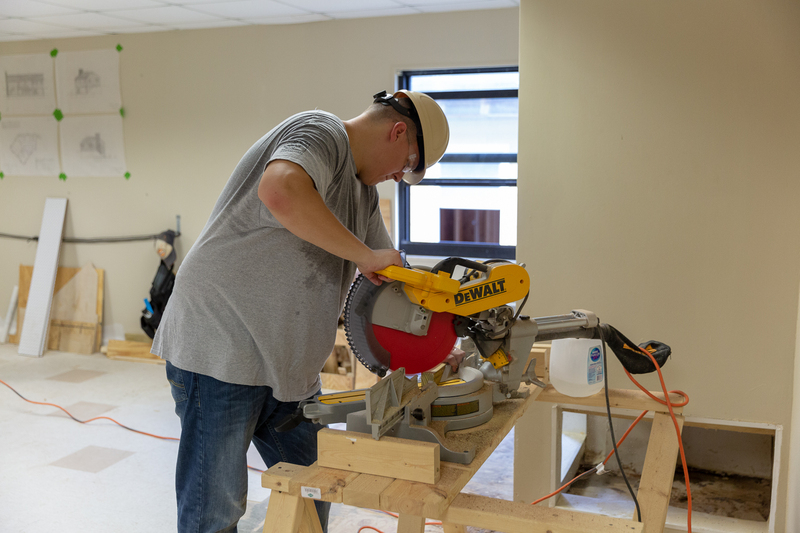 With the skills he’s acquired from national nonprofit organization Home Builders Institute (HBI), Pomelow may get the shot to fulfill his dream and join the ranks of a much-needed workforce, skilled trades workers. “Something my wife and I want to do is either buy a house and fix it for ourselves. A dream of mine since I was a kid was to build my own house. HBI’s going to be able to do that,” said Pomelow, 30, who is retiring from the Army after 12 years of service. HBI, a leader in skilled trades workforce development for 50 years, is addressing the shortage of workers in construction through its 12-week program that trains and certifies transitioning servicemen and women at their military bases. 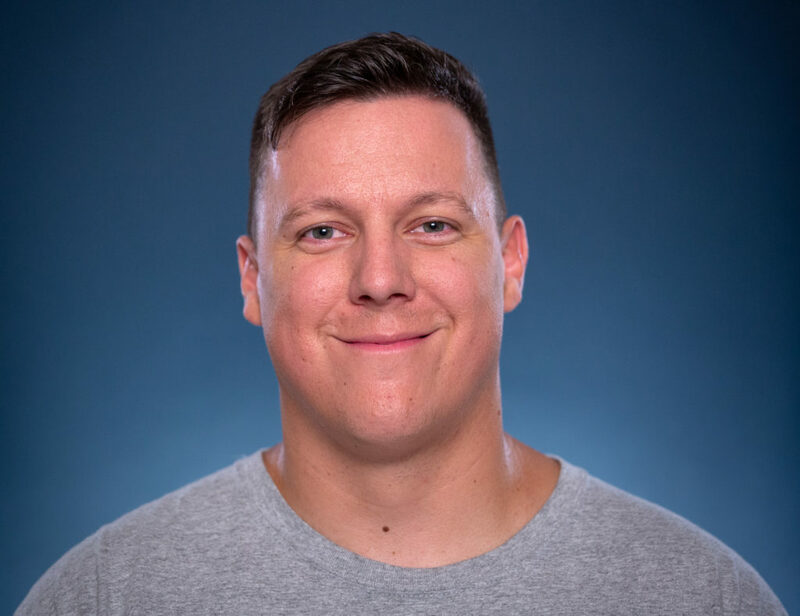 Pomelow, 30, learned the basics of construction at Fort Bragg in North Carolina and is counting on his skills and military experience to secure a full-time job to support his family. 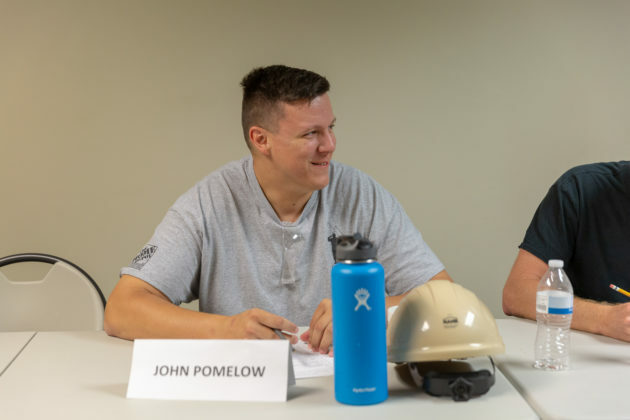 With the continued support from The Home Depot Foundation, HBI is expanding the pilot program with the aim of training thousands of more soldiers like Pomelow and close the employment gap. 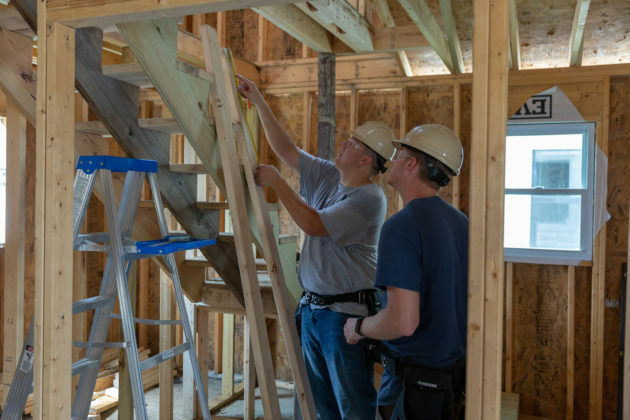 With more than 278,000 open construction jobs in the country, building contractors need more skilled tradespeople to reduce building delays and stem rising costs. The ongoing housing shortage is blamed on the lack of workers in the industry, which lost 60 percent of its workforce during the housing bust of 2008-2009. Enter the ready and able working hands of our military service members. 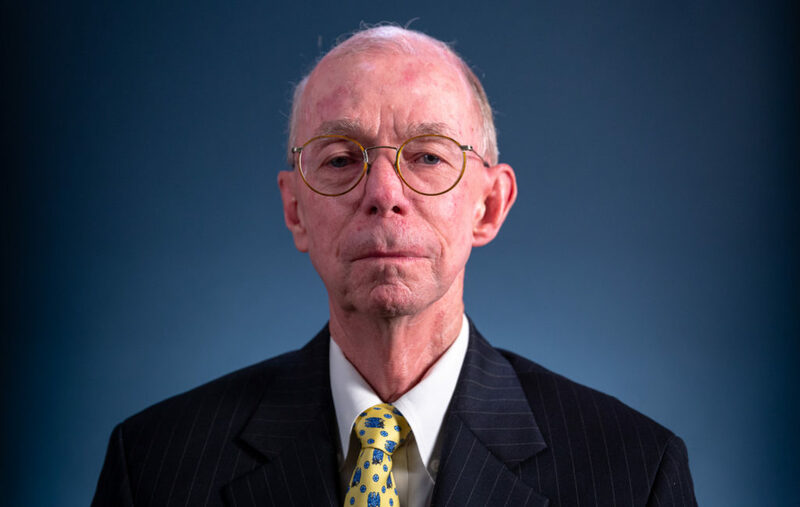 Courson, who is stepping down from his post this year, explained how HBI graduates are the right people who can step in and get the job done. “Employers, which are our lifeblood — because that’s our mission is to place students in jobs — want somebody that can come on the job and be productive on day one. With the certification and having been through the HBI training protocols, they know that’s what they’re going to receive,” said Courson. 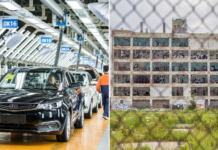 HBI began working with the Department of Defense three years ago as the DoD started tackling the issue of veteran unemployment, which skyrocketed during the Great Recession. Part of this initiative was the Army’s Soldier for Life Transition Assistance Program to help them adjust to civilian careers. 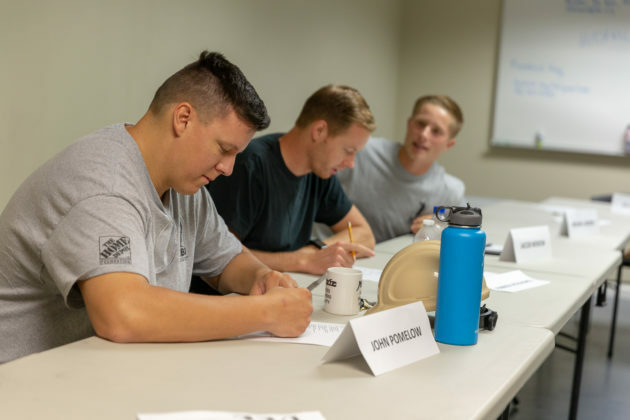 HBI’s Department of Labor-recognized Pre-apprenticeship Certificate Training (PACT) curriculum became a Cooperative Studies Program, where soldiers train while on active duty. 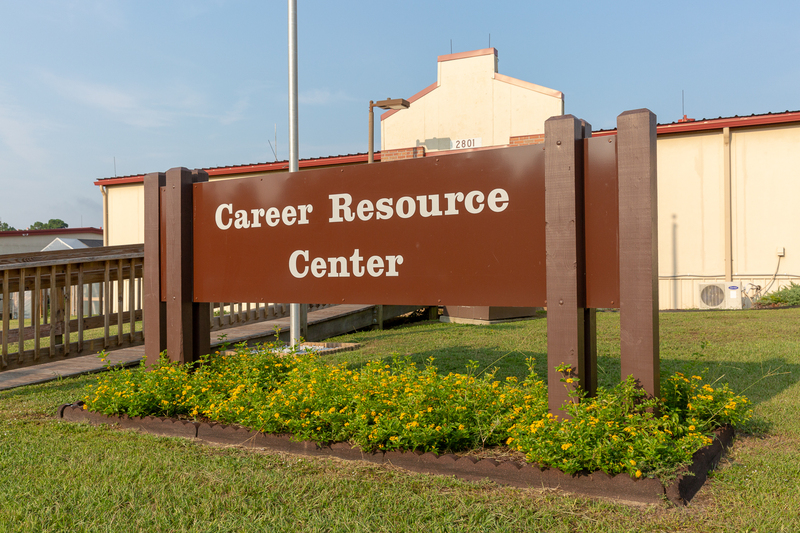 HBI’s pilot program landed at Fort Bragg and joined the base’s Career Resource Center, the home of the Soldier for Life program. Soldier for Life Transition Services Manager William McMillian said that the partnership between Fort Bragg, HBI and The Home Depot Foundation lets soldiers acquire the job skills that will stay with them for the rest of their lives. 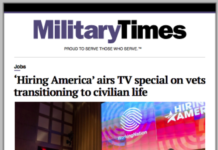 “Many times, soldiers leaving the military may not have any idea of how they can be a benefit in the civilian world either to themselves, or to their family, or to their employer. 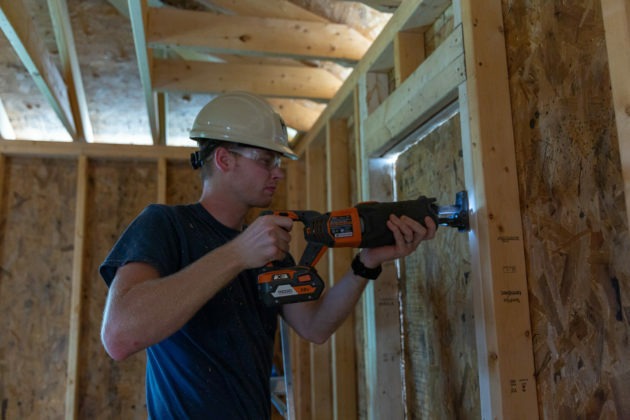 Working with Home Builders Institute here on the installation in their last two or three months on active duty, they get a chance to develop a skill, or sharpen a skill, that can be utilized in their next career,” McMillian said. Staff Sgt. Pomelow faced the unknown when his timetable for leaving the Army was cut short due to medical issues. He said that he “fully expected” to make it to 20 years but was confronted by questions of how he would be able to support his wife and three children. Where was he going to work? Where would his family live? Where are the kids going to go to school? “For the past 12 years, the Army has told me where I’m going to work or, essentially, where I’m going to live. I’ve just got to live within a certain radius of that installation, but now it’s up to us. We finally get to choose everything about our life, and that’s going to be a little difficult,” Pomelow said. Before separating from the Army, Pomelow used the resources of the CRC and Soldier for Life program and found the HBI program. He had a history with woodworking and carpentry from his boyhood growing up in Maine, and HBI gave him a chance to rekindle and sharpen his skills. 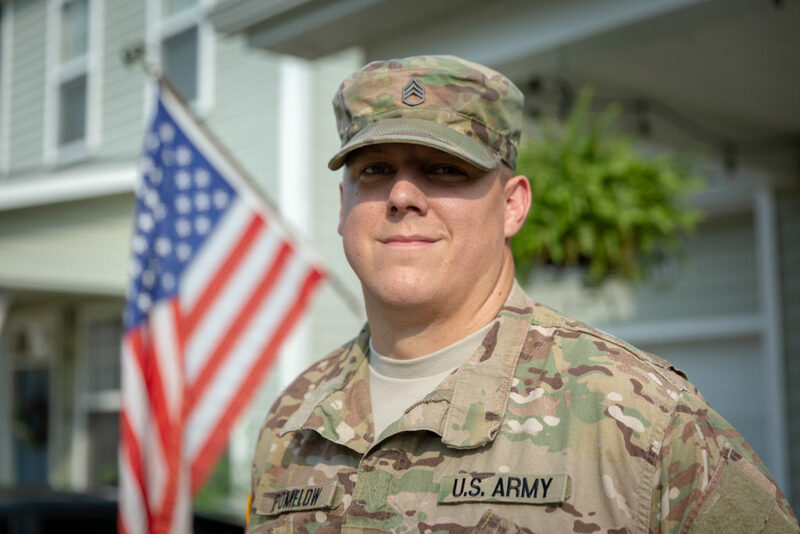 After receiving permission from his battalion commander to join the 12-week program earlier this year, Pomelow began his transition out of the military and into the civilian world. 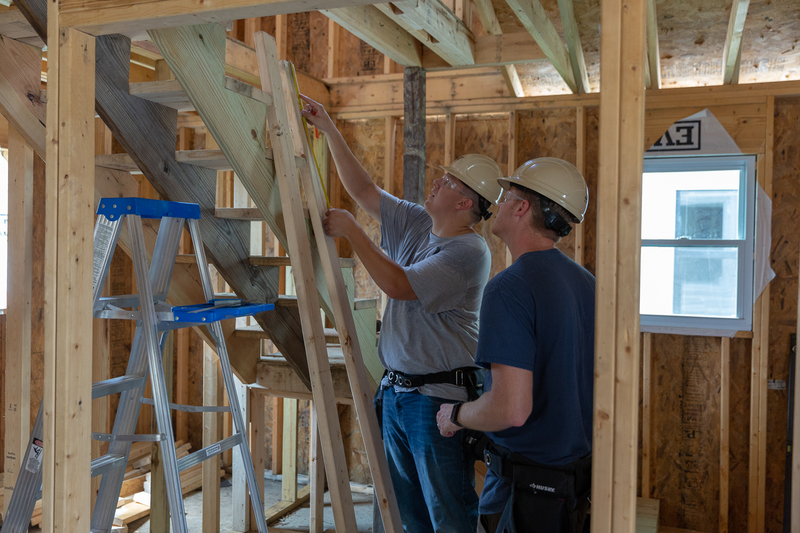 The PACT curriculum teaches the basics of construction with 75 percent of the training focused on hands-on skills: measuring, hammering nails, framing houses and reading blueprints. 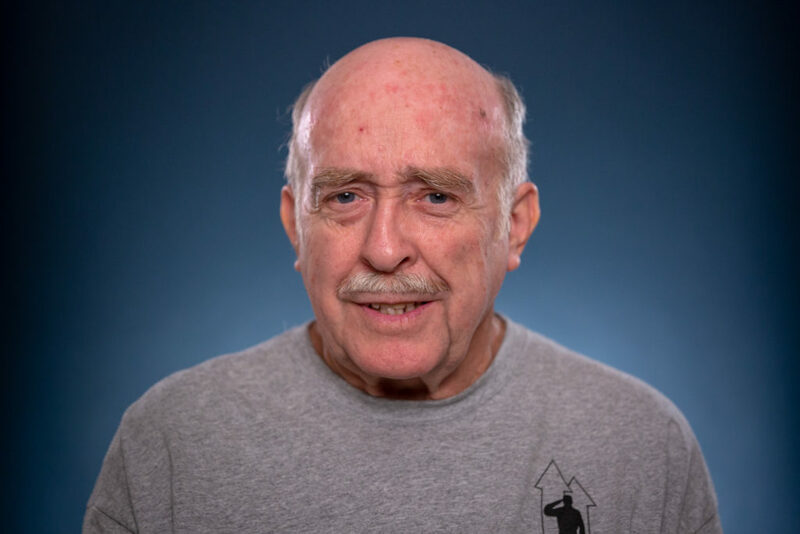 Pomelow worked with his fellow students with tools provided by The Home Depot, and because of the support of The Home Depot Foundation, HBI’s training and tools are free. “When we each have our own individual set of carpentry tools, we’re able to go do each task we’re being tasked to do. With The Home Depot donating those, we’re able to get things done properly,” Pomelow said. HBI students and Pomelow worked on constructing scale model versions of homes at Fort Bragg under the instruction of HBI teachers like Lawrence Morris. 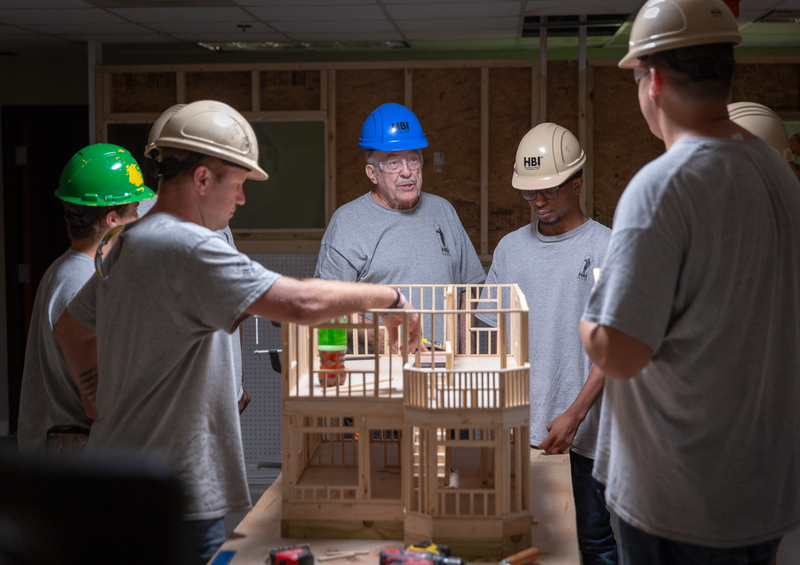 Morris brings decades of experience in construction to the classroom to train students how to build homes and the OSHA 10 certification. Each day, Pomelow and his fellow students learned safety protocols and took quizzes in preparation to earn this important credential. Having the OSHA 10 certification is a signal to employers that HBI graduates are work-ready. Morris said that Pomelow has the qualities that come from his military experience. These are often the soft skills that veterans have difficulty in translating on their job resumés. “The best thing about John is his willingness to do about anything. He doesn’t complain much. Let me rephrase that. John doesn’t complain at all. I’ve never heard him complain. And he always tries to help the other guys if he sees someone else having a hard time with something,” Morris said. Pomelow said that he is planning on using his security clearance to become a background investigator, but his HBI training will serve as a backup plan for a construction career. 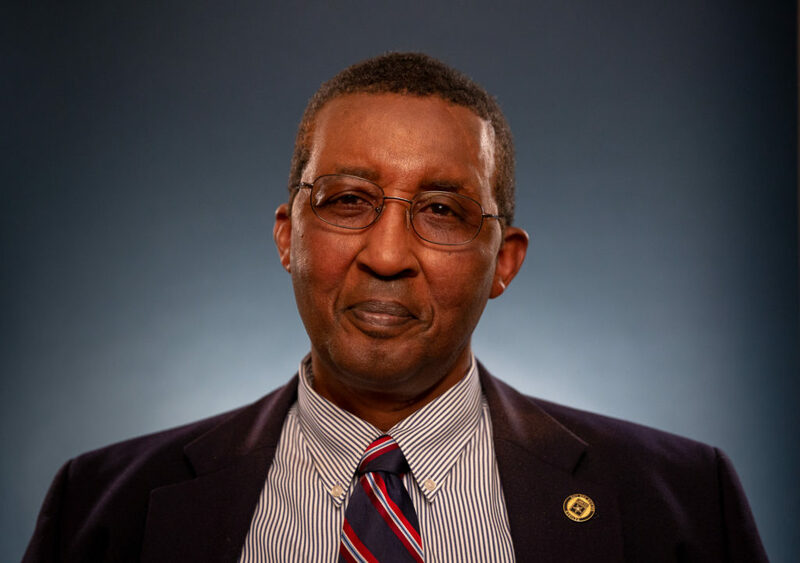 He credited the program for helping him sharpen his job-seeking skills and teaching him to translate his military experience. 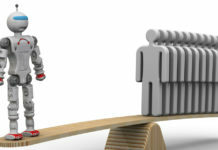 Should he decide to enter construction, he is confident that HBI has his back in opening the doors with job placement. HBI’s stellar job placement rate at 86 percent for all HBI students. 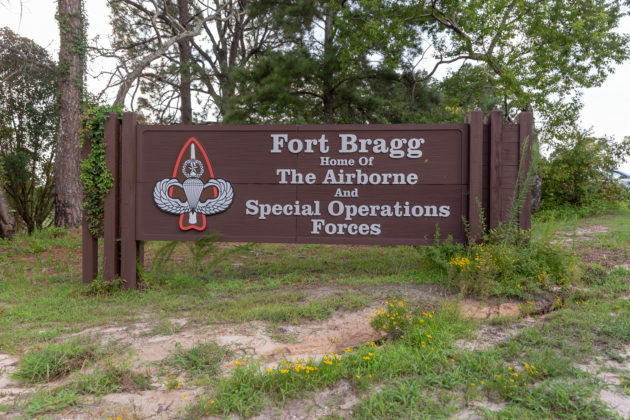 And at 96 percent for transitioning military, in particular, is evidence of the success of HBI’s pilot programs launched at Fort Bragg and Fort Stewart in Georgia. That is why The Home Depot Foundation has committed to funding the expansion of HBI’s PACT programs across more military bases. “One of the things that I love about HBI is they do job placement. Once the servicemen or women get done with the program, HBI helps place them in a role that is going to be meaningful for them. 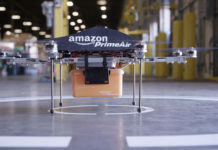 But they also make sure that the employer understands who they’re getting,” The Home Depot Foundation Senior Manager of Strategic Partnerships Heather Prill said. The nonprofit wing of The Home Depot has a long history of supporting military veteran nonprofit programs to combat veteran unemployment and homelessness. 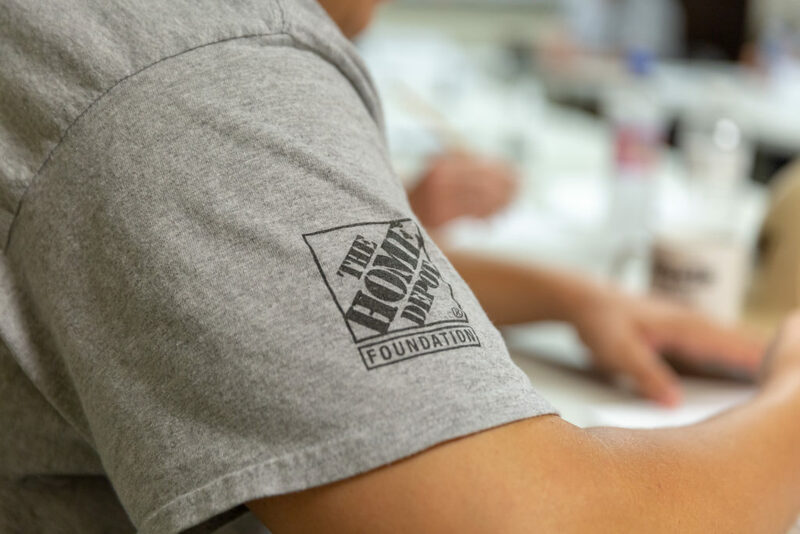 So far, The Home Depot Foundation has committed $250 million to support veteran causes and will double its contributions to $500 million by 2025. 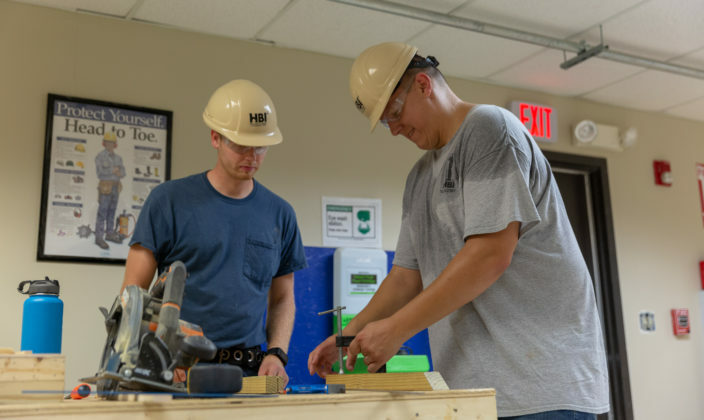 Prill said that her organization found the perfect partner in HBI because of their proven ability to guide transitioning military to great careers in construction. “They’re an organization that’s been around for 50 years, and they know what they’re doing. 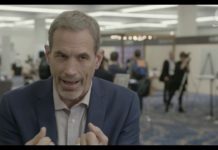 They are definitely the experts in this space, but we also can bring the power of The Home Depot behind them and if they’ve got opportunities for growth, opportunities for learning, we can provide those opportunities to them,” Prill said. Back in March, The Home Depot Foundation made a $50 million grant commitment to HBI to train 20,000 new skilled trades workers over the next 10 years. The move is part of a revitalized effort to bring back vocational skills training across the United States and solve the critical issue of the industry’s labor shortage. According to Courson, the funding will allow HBI to create more on-base programs at more than 10 military installations. 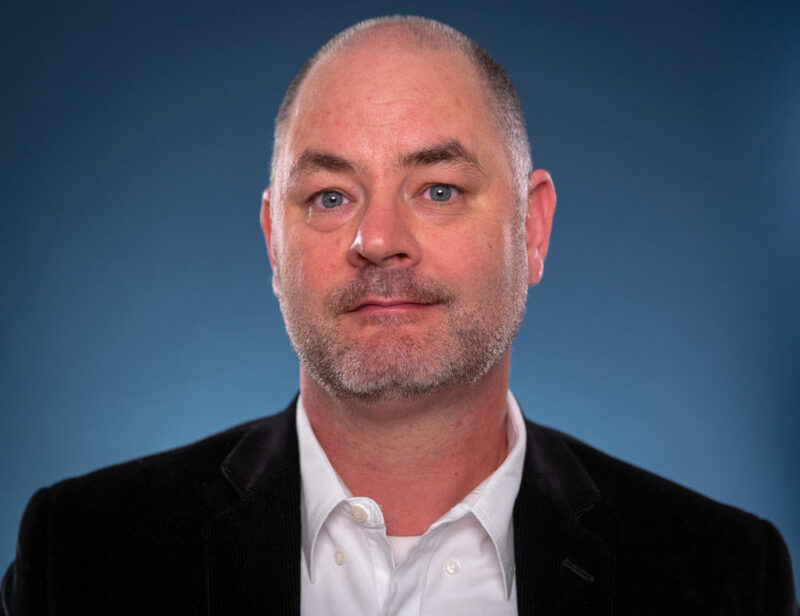 “They’ve been a great partner, and obviously it’s only because of their commitment that we’re able to stand up all these programs,” Courson said. The pilot program at Fort Bragg, where an estimated 8,000 soldiers make the transition to civilian life annually, puts HBI’s training program at the center of the transition process. Adding additional bases allows HBI to expand its reach to the more than 200,000 servicemen and women that separate from the military each year. Because of its national network, HBI can send certified veterans across the country to construction companies in need of their talent. One of the companies which are seeing the benefits of adding HBI candidates is RC Construction, based in Franklin, North Carolina. RC Construction Systems Integrator Kevin Petty said his company is part of the HBI network assisting soldiers in their transition. Petty said there is “no downside” to working with HBI as they’ve brought in HBI graduates to fill entry-level positions for their highly-specialized work: airfield paving. “We know that the candidates that are coming to us have worked in the military environment. 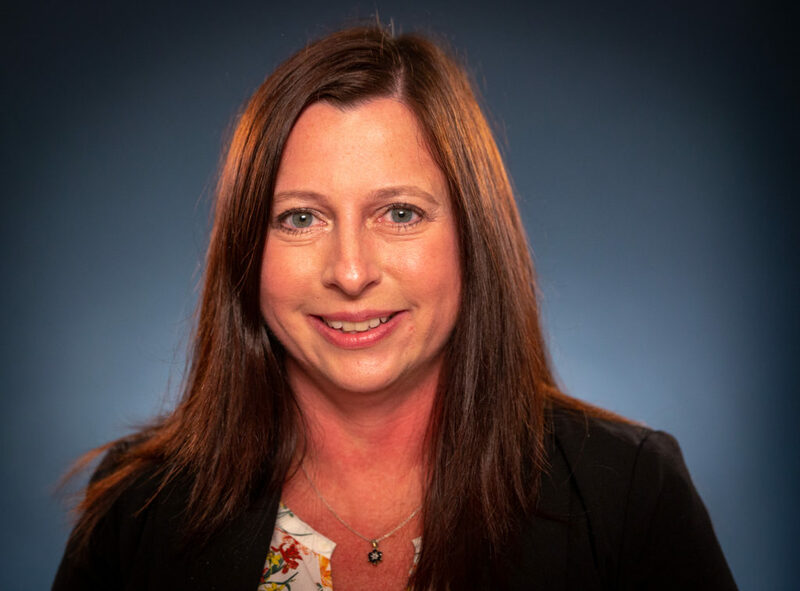 Since we work in DoD and FAA environments, we already know that [HBI candidates] speak some of the language that we want them to understand,” Petty said. RC Construction’s new partnership with HBI goes both ways. In return for joining the workforce pipeline of HBI students, Petty said that RC Construction gives students another resource to investigate a potential future in construction. “We understand that we were bringing something to the program. We could offer a glimpse into real-world construction in return we could hopefully inspire some of their candidates to consider us as employment,” Petty said. The strength of public-private partnerships between the military, HBI and The Home Depot Foundation is growing as they support one another. With more funding going to expanding HBI’s mission to train and certify separating military servicepeople, the all-hands-on-deck approach to creating more skilled workers is a scalable solution. For more about Home Builders Institute: click here. Join the Conversation: Tell us your thoughts about the latest Do Something Awesome video on our Facebook page. Someone you love is out of work and stuck. Really stuck.